Once Rustlings Road was farmland. 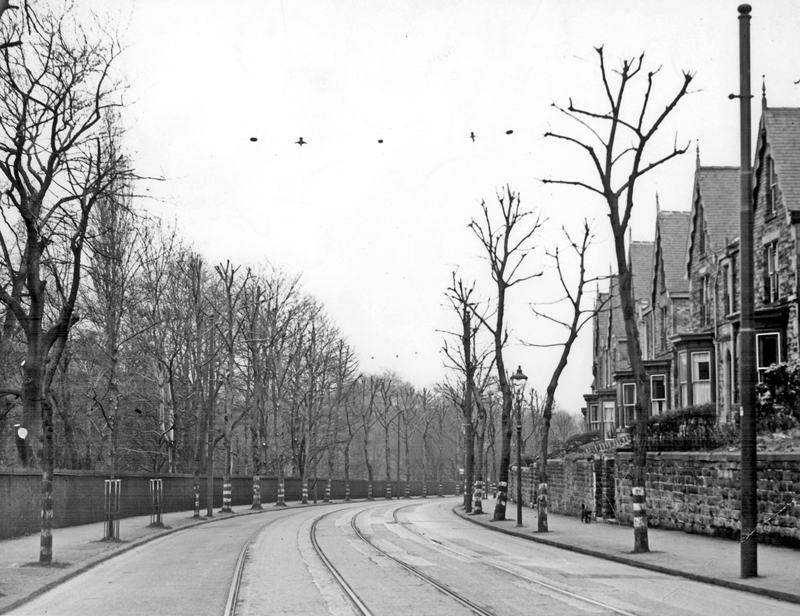 The Victorians and Edwardian that built much of our tree-lined roads could have easily left out the trees, and said there is plenty parks and woodlands, but they knew the importance of greening up the streets. 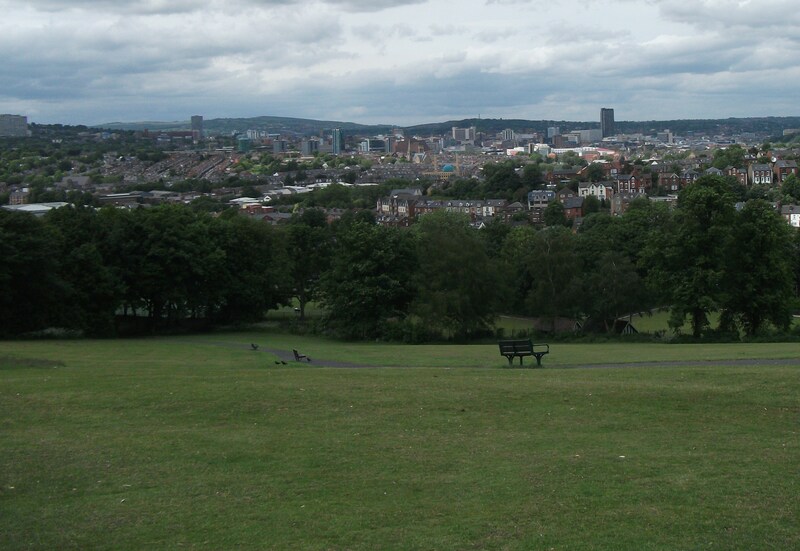 Although Sheffield was undoubtedly a smoke filled, polluted place, the city fathers were well aware that there needed to be more greenery and more clean open spaces. That is why Sheffield at the moment has a bigger number of trees lining our streets than other cities, but that is surely not a good reason for being blasé about such things? Sheffield is lucky that the history and the geography of the area has resulted in the preservation of so many ancient woodlands and the determination of people like Mark Firth who donated and pushed the council to buy land for public parks. 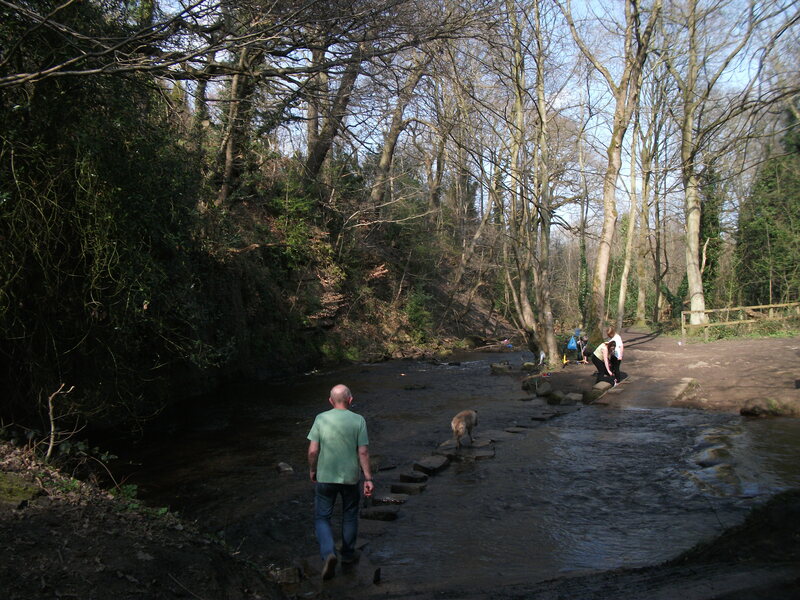 Even though, with the opening of Endcliffe parks one writer to the paper said that “perhaps we have enough parks now” the wise people of Sheffield continued in making parks that everyone could have access to. 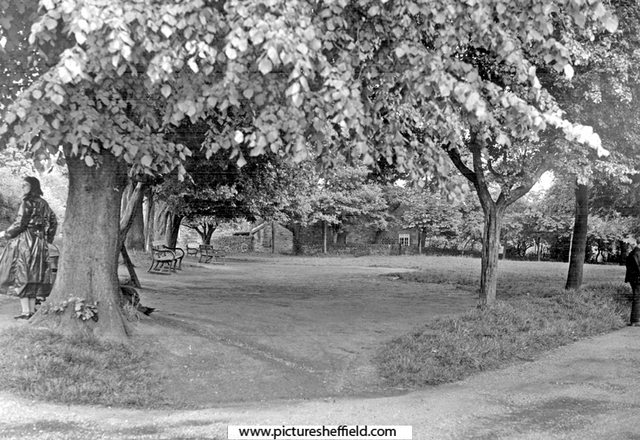 But at the same time they planted the trees and continued to do so for over 50 years so for instance at the bottom of Meersbrook Park are the Victorian trees and at the top is the Hollythorpe estate where Laver Brothers planted trees when they built the housing estate in the 1930s. And so it is throughout a large part of the city . We are the city of the great outdoors despite the awful traffic and the steep hills. Sheffield is also the city with the lowest crime rate and down as the happiest. It is now all under threat. Our way of life. Our happiness and the Livability in our city and that which makes Sheffield Sheffield. In a 2001 study in Chicago there were dramatically fewer occurrences of crime against both people and property in apartment buildings surrounded by trees and greenery than in nearby identical apartments that were surrounded by barren land. Buildings with high levels of greenery had 56 percent fewer violent crimes. Greenery lowers crime greenery helps people to relax and renew, reducing aggression. As the trees decrease in Sheffield there is also the fact that studies have found that tree cover can keep a city cooler by up to 12°F, by shading our homes and streets, breaking up urban “heat islands” and releasing water vapour into the air through their leaves. In Los Angeles they found a correlation between a rise in average temperatures in 14c, and the decline in tree coverage. There has been many natural floods in Sheffield too. Track Sheffield’s history and there is a long history of flooding in the city over 250 years at least. It has lessened in some areas. Rustlings Road was so called because of the marshy area round the Porter. There is still a tendency to flood round there. How much worse would it be if the trees who feed on the little tributaries that once ran into the Porter are removed ? But even if there wasn’t the pollution and flooding issues in Sheffield there are other issues both environmental and historic. 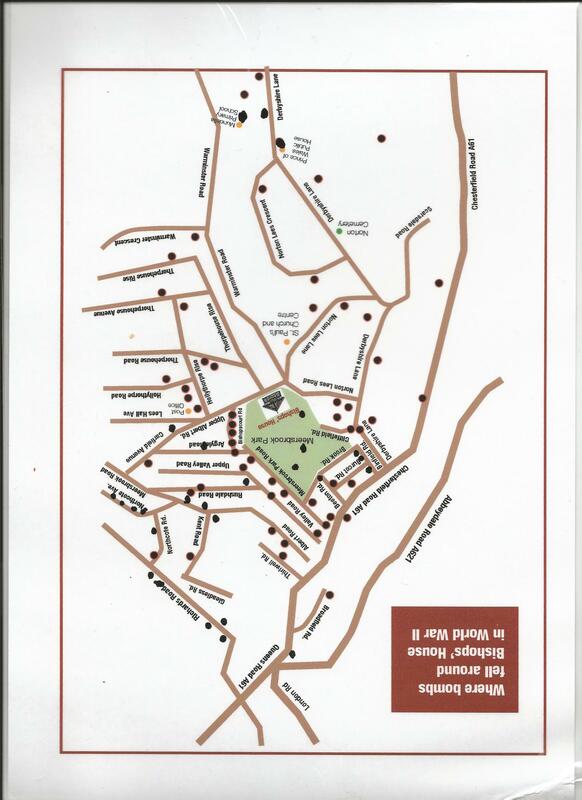 These are historic streets built by our city fathers in a bid to improve the city and create houses with pleasant streets to walk in. Take the trees away and you remove a historic vista, and 100 year old trees that will take a 100 years to bring back that view if the saplings actually survive the first few years. I suppose like many my first memories of a remarkable heritage building was being taken to see one by a family member. In my case it was Penrith castle with my Grandfather and playing among the ruins and seeing the remains of the huge fireplace are memories that have stayed with me. Hard to say why Heritage is important but I am certainly not alone in my feelings. Heritage evokes an emotional response in a wide variety of people and makes historic buildings an economic asset as well as a community asset. 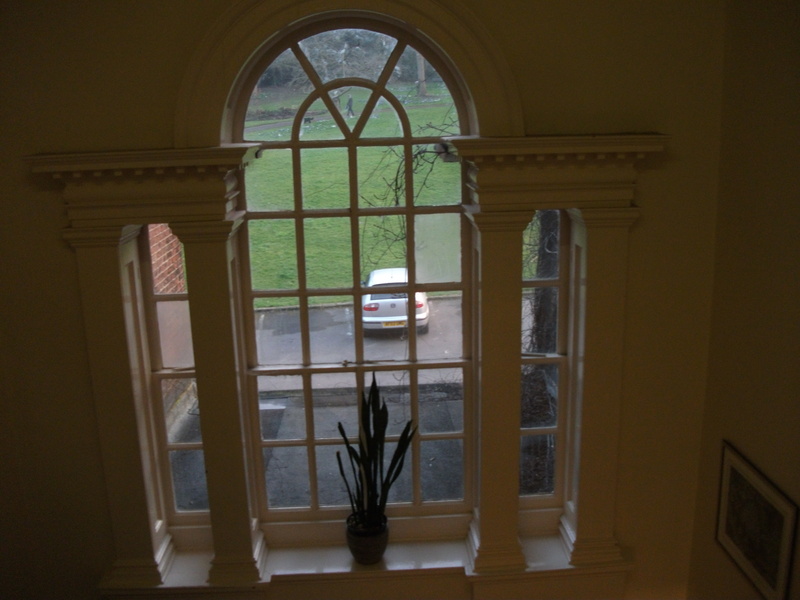 However there is a third factor that should be taken into account and that is the green aspect of historic buildings. Research suggests that sustainable maintenance and refurbishment of historic buildings uses 23% less energy than new construction. 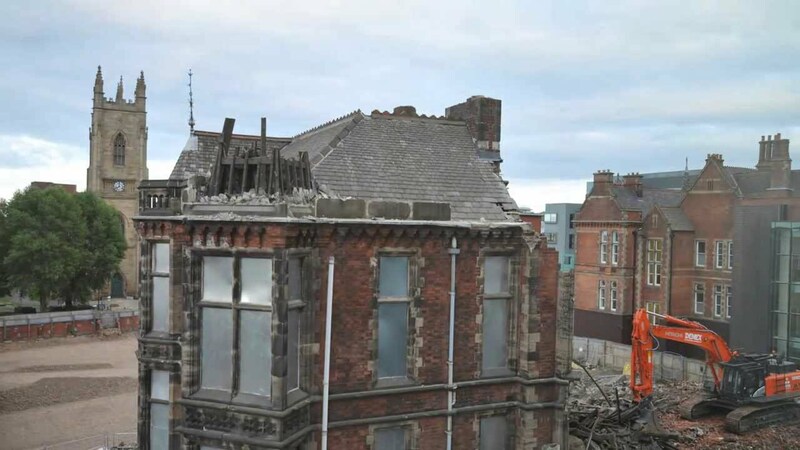 Figures given by several researchers suggest that it will take between 40 and 65 years for a green and energy-efficient building to recover the energy and resources lost in the demolition of an historic building, and that demolition waste can make between a quarter to a third of all landfill. Reducing carbon emissions associated with the built environment means reducing the emissions associated with the whole lifecycle of buildings. It is not necessary to demolish a building and replace it to have a greener building. Refurbishment and retrofitting of buildings, including insulation, replacing windows and boilers, heating networks, and installing renewable energy, can improve the performance of existing buildings to near-new standards. 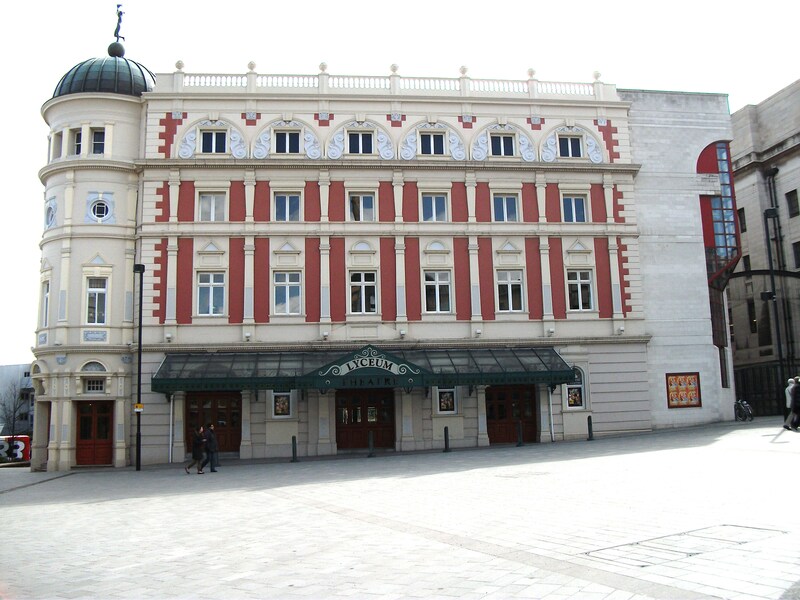 We have two prime examples of retrofitting of listed buildings in Sheffield now, Sheffield Cathedral has a more energy efficient heating system, and the Lyceum Theatre has installed a wide range of energy saving measures. If you demolish an old building, even if you leave the façade, the chances are that it will take at least 12 months to rebuild and be ready for occupation. If you retrofit you can do some things while the people are resident and others in a matter of days. You don’t need a lot of machinery or disruption of adjoining businesses and you are more likely to be using local contractors to do the work. But surely retailers and businesses want new modern buildings? Evidence would suggest quite a sizeable number prefer the character of an older building and other research suggests that it is the uniqueness and historic character of a city that brings in the type of investor who also moves into the city to live so keeping the investment within the local economy. Economists call it Livability. Sheffield hosts the biggest entrepreneur conference in the UK but we are not selling our city to the delegates in the best way we could. We do not play to our strengths. Yes we are a great outdoor city with ancient woodlands, parks and part of the National Park within our boundaries but if you are going to set up a business are they the factors that would sway you to choose Sheffield? 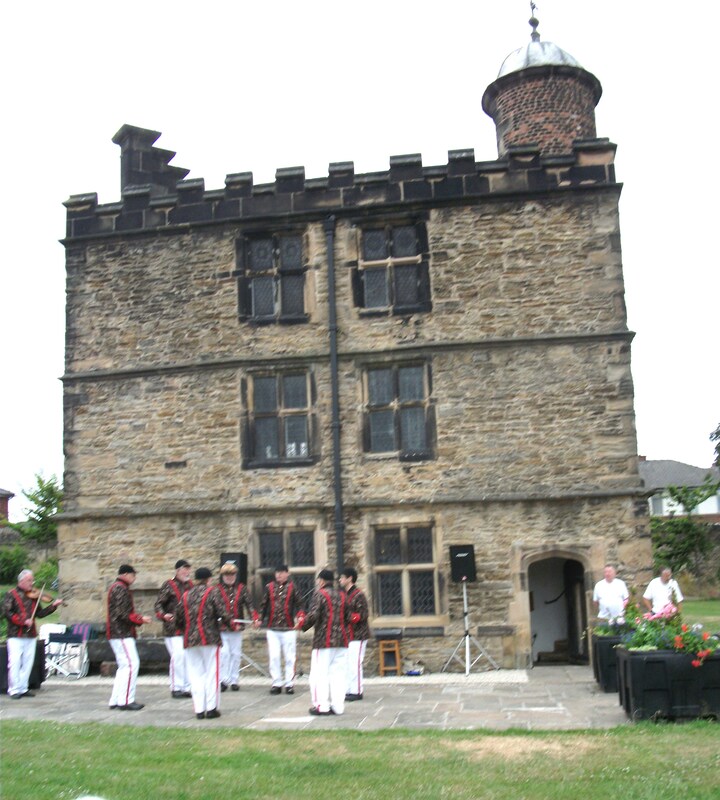 Sheffield has some great historic buildings available. Research has shown that new startup businesses like the old works buildings as they are cheap, adaptable and present an image of stability. The many cutlery factories have been proved by, Albyn, Portland, Harland, and Stag, and APG, to be great for a wide range of creative people who have found the arrangement of workshops around a central courtyard perfect for making a creative hub where ideas are exchanged. Creative Industry thrives in older, mixed-use neighbourhoods. Older smaller buildings house significantly greater concentrations of creative jobs per square foot of commercial space. Media production businesses, software publishers, and performing arts companies can be found in areas that have smaller-scaled historic fabric. Commercial and mixed use districts with a mix of old and new buildings have a significantly higher proportion of non chain restaurants and retailers and also a significantly higher proportion of jobs in small businesses. These areas also have significantly more jobs per commercial square foot. From a retailer’s point of view Sheffield has also a wide range of old chapels, banks and Georgian shops and pubs that bring a great character that only an older building can bring. Very few Independent traders or small businesses use new buildings as besides it being cheaper and more individual it is also easier to fit in with the existing community. The amazing Antiques Quarter uses a wide range of old buildings. It wouldn’t look the same if all the buildings were brand new. Research on the economic impact of the historic environment for Heritage Counts 2010 found that over 90% of respondents in case study areas agreed or strongly agreed that investment in their local historic environment made the area a better place in which to live, work, visit or operate a business. Across the UK central urban living is increasing and visiting the town centre regularly for retail purchases decreasing. Large shopping centres are quite possibly going to become the dinosaur that Sheffield Markets had become due to changing retail habits. Judging retail by floor space when many large businesses sell online is outmoded thinking. The customer is either local or comes seeking a unique shopping experience with leisure catering in that mix. Certainly in Sheffield a high number of shoppers in the city centre either come on foot or by public transport. Studies elsewhere have found that investment in the older more distinctive buildings has had a knock on effect in the area. Inhabitants have had a stronger sense of local pride and say they also feel safer. A report by IPSOS MORI, into public perceptions of beauty, shows the built and natural environment play an important part in how people view the places they live. A striking area of consensus in the findings was in the value people placed on old versus new buildings. Across all age groups, older buildings were favoured as being ‘more beautiful’. The most common reason people gave was that older buildings conveyed a sense of longevity and grandeur. The patchy mainly community based restoration of Sheffield’s heritage means that presenting a uniform and more commercial image of Sheffield’s heritage is difficult. Much of what we have in Sheffield is of worldwide significance historically and we need to look at ways that we can present this which would bring in tourism and investment. As many of the older significant buildings are in deprived low income areas, it could bring in more jobs and boost the local economy. The value of heritage tourism is expected to increase between 2013 and 2025, as the economic output in tourism is expected to rise from £58 billion (4.1% of the UK economy) to £119 billion (4.6% of the UK economy), with the number of tourism jobs rising from 1.75 million jobs to 2.10 million jobs over the same period. Sheffield has no designated councillor or officer responsible for tourism or indeed and designated funding for tourism. Could this be why Sheffield performs badly despite the significant rise in Yorkshire Tourism. It is true that the numbers of people attending festivals has increased rapidly but mid week visitors are in short supply and mainly on business. It is Tourists in particular (esp older tourists known as the Grey Pound) who could bring long lasting jobs and help revitalise the retail hubs within the city more than any rebuilding of the city centre. These are all strong reasons as to why Sheffield Council needs to put our old buildings at the head of regeneration plans not as an afterthought or an add on. Why we need to group together all the people who think keeping our old buildings is important. That way we turn up the volume. 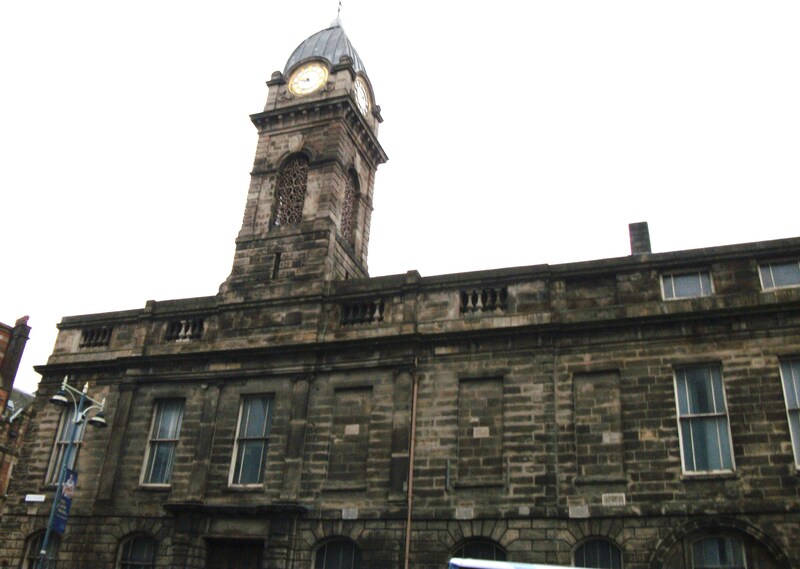 The Role of Historic Buildings in Urban regeneration. Eleventh report of Session 2003-2004 Volume 1 report. House of Commons ODPM: Housing, Planning, Local Government and the Region’s Committee. Heritage Lottery Funding – strategic framework 2013-2018 A lasting difference for Heritage and people. New Ideas need Old Buildings Heritage Lottery Fund. April 2013. Renovate or Replace? The case for restoring and reusing older school buildings. published by Save Our Land, Save Our Towns Inc. The Pennsylvania Historic Schools Task Force. The Greenest Building: Quantifying the Environmental Value of Building Reuse a report by Preservation Green Lab, National Trust for Historic Preservation. Two years ago I and a few friends felt it would be a good idea to map out Sheffield’s heritage. 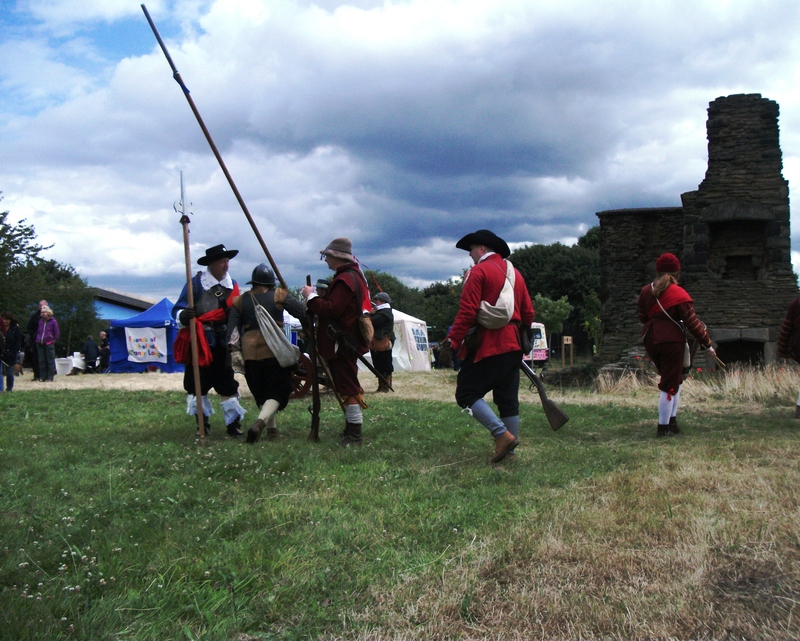 I also started listing all the heritage groups and organisations which are at a rough estimate around 120. It became obvious that there needed to be a central point for heritage events. It turned out to be a big job as there is over two thousand a year. People come to me grateful because their area and history has been highlighted. Whether newly moved to the area or there for generations, the history and the heritage buildings in their neighbourhood give the place where they live its unique identity. only by heritage organisations but by the World Bank, and the EU. They are not looking at it from purely a resident community point of view but from a green sustainable economy aspect. It is about the economic value of uniqueness. What makes your city different from another similar city? What can you offer that no other city can offer? People like to feel they are living and working in a unique historic environment. If you are running a cafe or other Indy business, an old building gives your business a unique image What is surprising is that high tech businesses and upmarket retailers like it too. It gives their business gravitas. 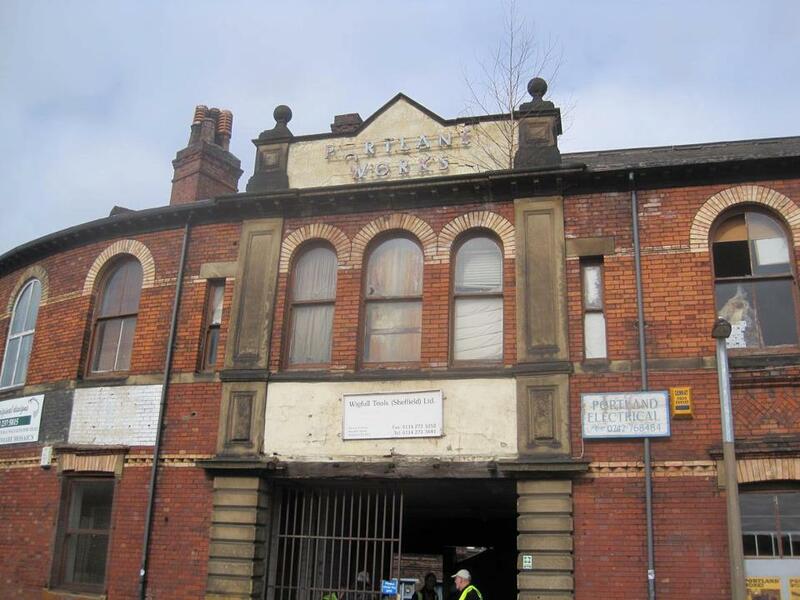 If heritage is a saleable asset why are old buildings being knocked down? Why are places like the Devonshire Quarter losing their identity? Why are we continually “fire fighting” to protect our heritage? Simple answer is that Sheffield Council don’t recognize heritage’s importance in the regeneration of the city. Nor have they considered the green aspect of not knocking down but adapting existing building stock. A major problem is that designers live in London and the manufacturers are here. We don’t have the loft apartments for young professionals that cities like Manchester has. There is still a tendency to see the city centre as a place to shop and work, but not to live in, except if you are a student. If we are to keep our designers (many fine ones graduated in Sheffield) and bring in investment we need to make Sheffield an attractive place to live and work. 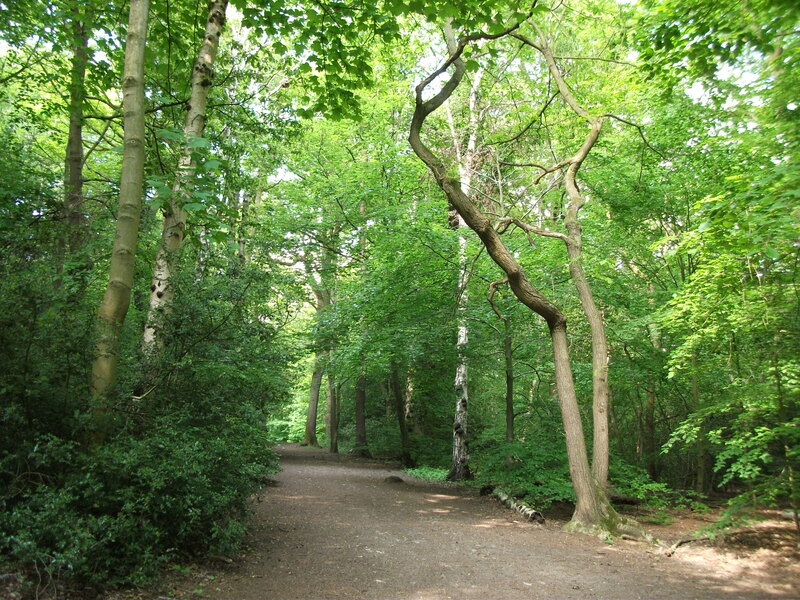 Our heritage is a big plus point in so many ways, the ancient woodlands, the Victorian parks and the wide range of old factories, houses and shops that can be adapted. There are already some great conversions. 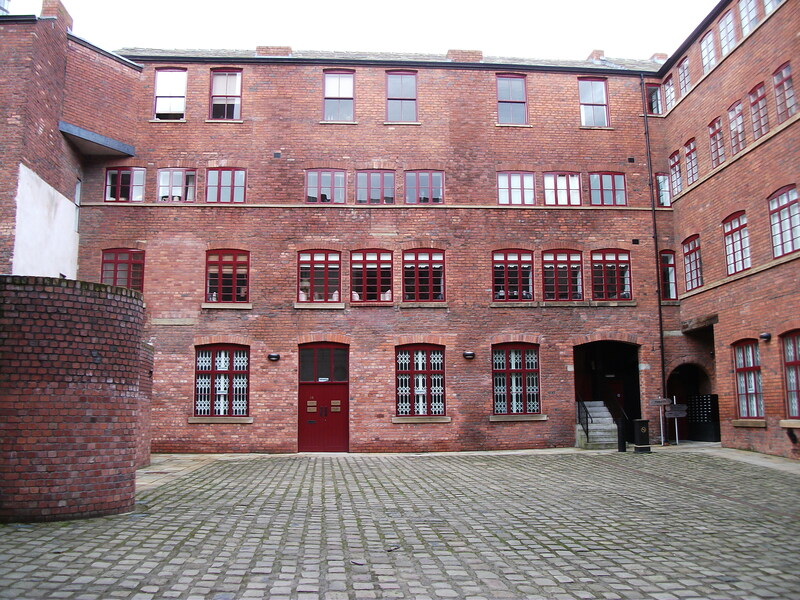 The same type of buildings converted to student accommodation could also be adapted to private apartments. Portland Works and Summit studios. 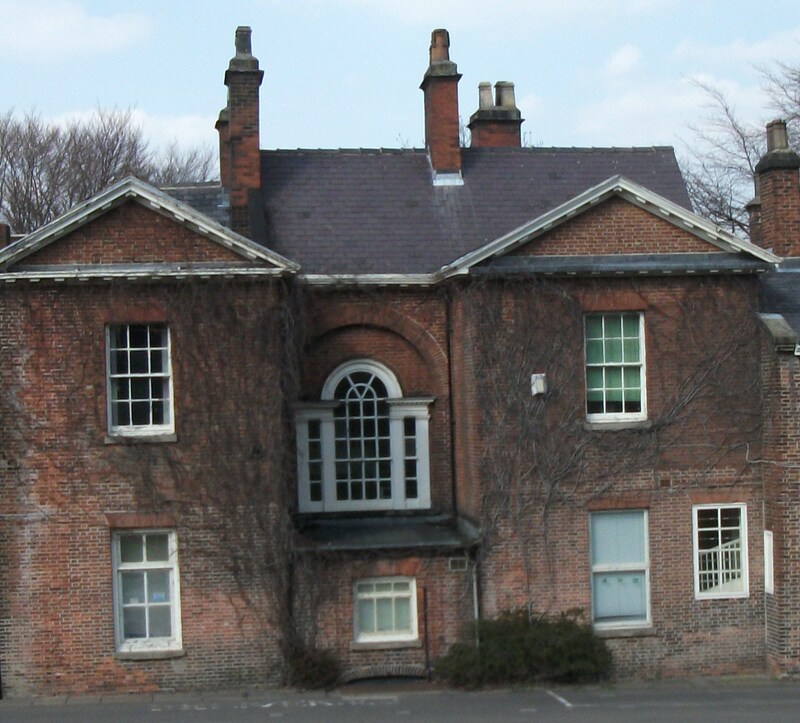 The council owns a number of heritage buildings in the parks could be used for this, which would not only reduce the council’s costs it would also provide work and upgrade many of the tired listed buildings we have in the city. Cities with a sustainable economy plan such as Bristol have several hundred local organisations working together in collaboration and cutting costs for the council by doing so. These councils have access to a huge range of experts at no cost. People feel they have a stake in the city and will be listened to. The old councils who remain distant and disconnected or isolate groups into different categories are noticeable when you look at economic activity. They do badly. “Ensure everybody is well informed, capable, and involved in their city. This includes access to information and education, communication between the government and public, knowledge transfer, and timely and appropriate monitoring.” So why isn’t Sheffield doing this? RSA (Royal Society for the encouragement of Arts, Manufactures and Commerce) summarizes how heritage is so important. Participating in heritage can contribute to people’s personal development, and there is emerging evidence of a positive relationship between heritage participation, wellbeing and health. The historic environment is seen as making a positive contribution to community life by boosting social capital, increasing mutual understanding and cohesion and encouraging a stronger place – but further research is needed to understand these effects in full. Heritage makes a contribution to UK GDP, particularly as a driver of overseas tourism but also in making a place attractive to those looking to work, study or undertake business; recent research has found that cultural and historical sites are the most important asset in making a country attractive. Economists have developed methods to monetise the overall value of particular heritage sites. People typically gain more value from a site than it costs them to visit, and the total value generated by a site can be considerably greater than the cost of its upkeep. The historic environment has a potentially powerful role to play in shaping distinctive, vibrant, prosperous places; further research on the role of heritage in everyday life and the relationship between heritage and identity will help to realise the potential. Individual impacts such as pleasure and fulfilment, meaning and identity, challenge and learning and the relationships between heritage participation and health and wellbeing. Community impacts including social capital, community cohesion and citizenship. At present we have no councillor who is designated with heritage as their specific responsibility, nor has it been discussed in the recent Sheffield Green Commission. Something that is a little ironic given that the councillor present, Jayne Dunn is a Cabinet Member for Environment and recycling. Recycling isn’t only about glass bottles and newspapers. Buildings can be recycled too. Our heritage is one of the great assets in our city. It is what makes Sheffield unique. Shiny new buildings may seem the best way to indicate a modern progressive city, but this is an outdated concept. Modern thinking has realised there is an economic advantage in utilising a city historic buildings. Researchers have found that innovation, new products, new services and, new economic growth – flourish best in cities possessing a good stock of historic, distinctive buildings. This is why organisations like the World Bank are encouraging investment in heritage. 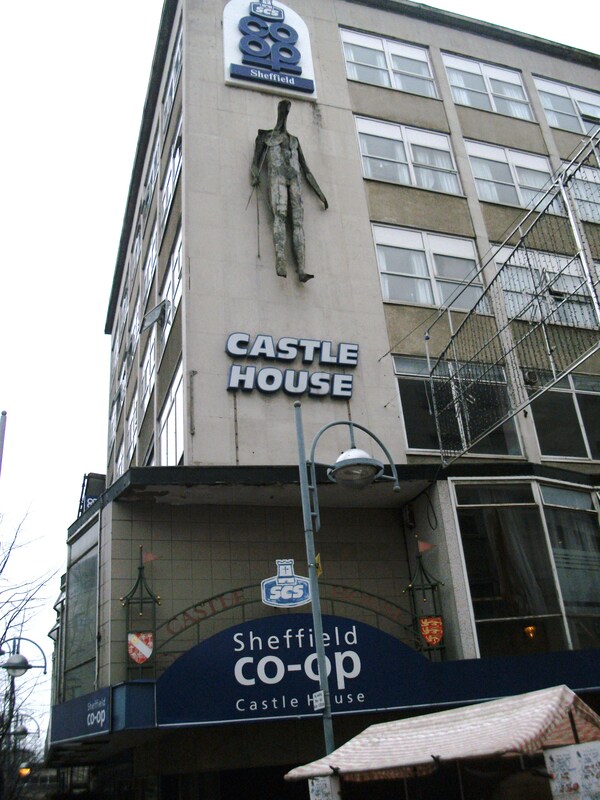 Sheffield has over 1’000 listed buildings. Old Queens Head Pond Hill, originally a refreshment station for Castle occupants, then laundry and back to being refreshment station ie pub. People prefer shopping in an area with character. As more shopping is done online and large retailers are finding it hard to be viable on the high street, research indicates that shoppers are seeking a “Grand Day Out” with leisure, catering and retailing found together. 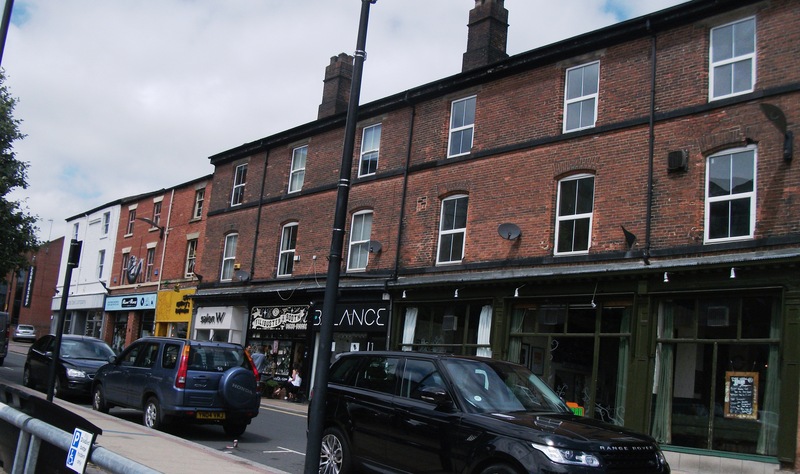 Experts agree there needs to be more special retail hubs like the Sharrow Antique Quarter, and the Devonshire Quarter who have a strong historic character and a mix of retail, living accommodation, creative industry and leisure. Modern conference organisers look for cities with a distinctive character. Universities attract students not purely for their academic status, but also the environment students work and live in. It is surely no coincidence that both Universities own a substantial number of listed buildings? big bulk buyers. The Internet has produced a different way of doing business. Companies are getting relatively small orders per customer but from a larger number of customers. The need is to produce a strong creative hub within the city because there is often a wide geographical gap between designers and manufacturers. For Sheffield to compete it needs to create a desirable environment for talented people to select Sheffield as the place to live and work. Older buildings are greener and adaptable and create an atmosphere that encourages creativity. Businesses based in listed buildings are highly productive and make an estimated annual contribution to UK GDP of £47billion and employ approximately 1.4 million people. Heritage is one of the biggest drivers of the UK’s tourism industry, which has estimated to be approximately £85.6 billion. Rather than being a drag on productivity, listed buildings attract businesses in the most productive sectors of the economy. In Dublin they found that after refurbishing two historic areas that new Hi tech industries moved in. 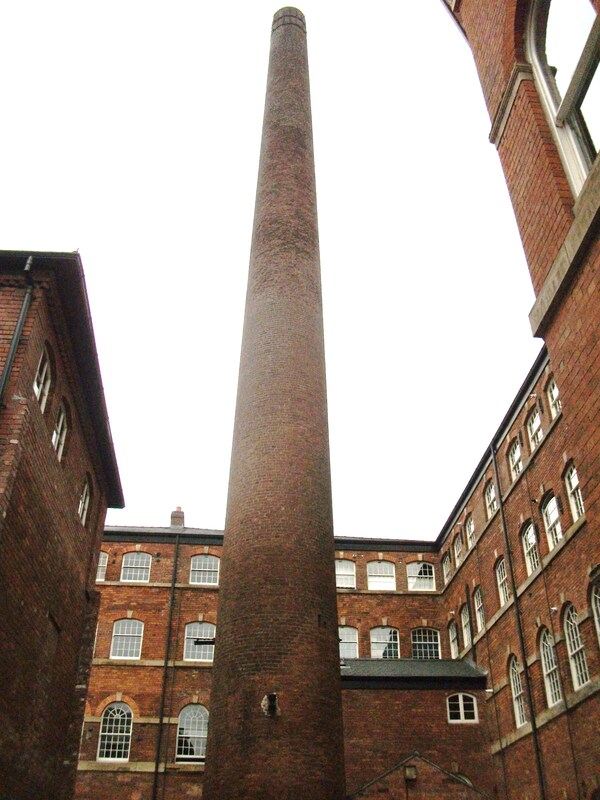 Research has found that knowledge based industries like working in historic buildings. In Poland the industrial town of Lodz redeveloped an old cotton mill mixing residential, retail, cultural and heritage creating 3,500 jobs. In the UK Glasgow by including historic buildings in their regeneration policies they have significantly improved both their image and their economy. 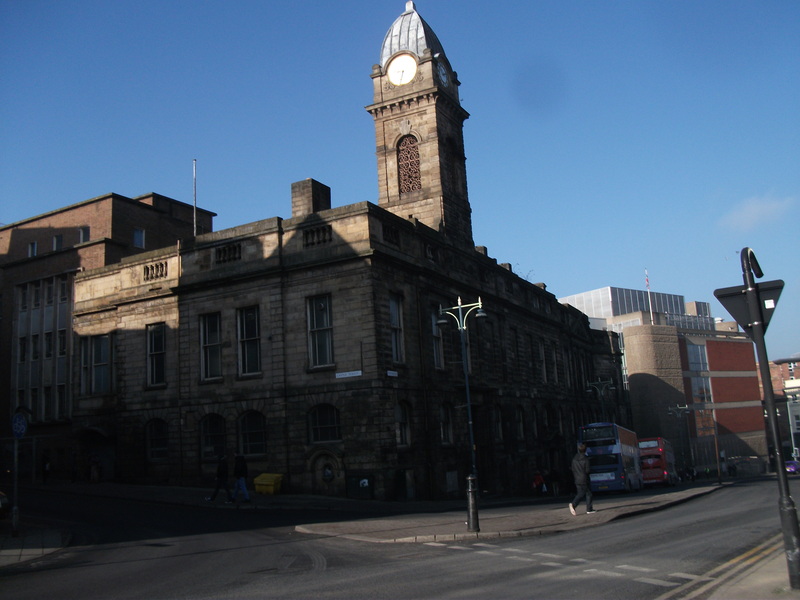 The Old Town Hall Waingate scene of Chartist riots, refuge from Sheffield Floods etc. are seen as complimentary. The green corridor, the castle ruins and park, and the renovation of the Old Town Hall, could create a place where people want to live, work, shop, and spend their leisure time. 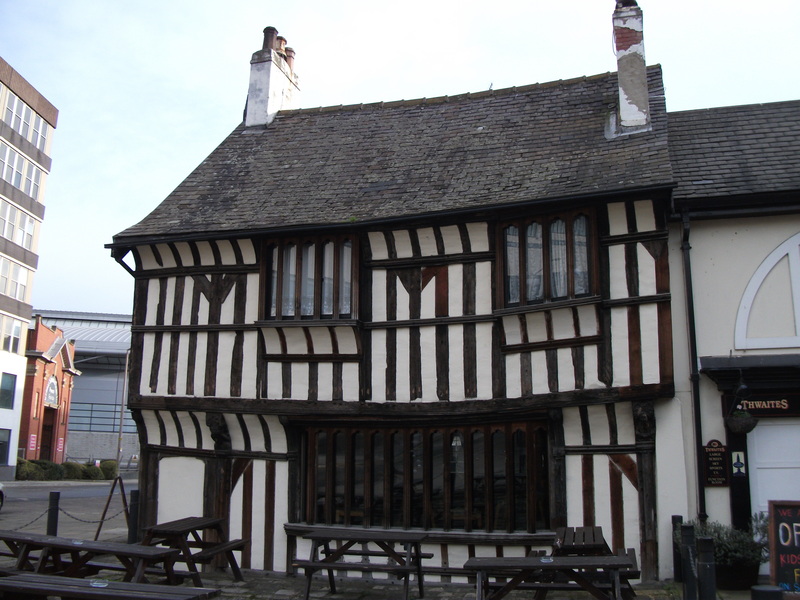 This is the birthplace of Sheffield, and its buildings tell Sheffield’s story. It is important that the area is developed sensitively. Not lose its heritage amongst high rise buildings. Sheffield needs to embrace modern thinking, and to form a strong partnership between Business, Council, and Community. The old attitude of measuring progress by demolishing the old and replacing with new in a belief that this makes a city marketable needs to change. At present there is no obvious Council strategy re conservation of heritage and urban re-development. The danger is that we will lose assets we cannot replace, and any marketing advantage we have as a unique historic city. Worldwide there has become an emphasis on investment in Cultural Heritage UNESCO, The World Bank, and the EU sees heritage investment as part of the agenda for inclusive green growth and sustainable development. Heritage investment promotes an efficient model of built assets and land, maximising the benefits of adaptively reusing assets that could otherwise be neglected or underutilized. 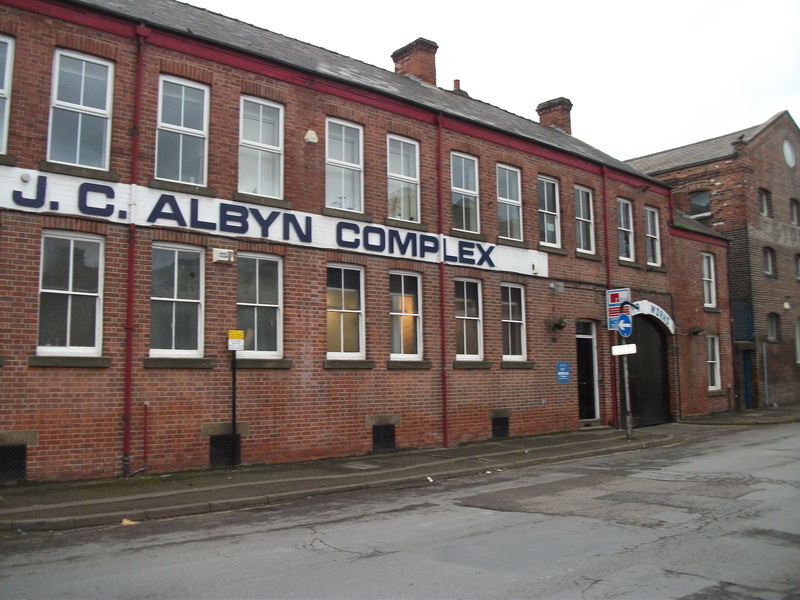 Older buildings are suitable for a huge variety of business use. They have character and colour, so creating the distinctive leisure quarters of cities and an atmosphere that fosters creativity. Across the UK, the businesses based in listed buildings are highly productive and make an estimated annual contribution to UK GDP of £47billion and employ approximately 1.4 million people. Culture and heritage are the biggest drivers of the UK’s tourism industry, which was estimated to be worth approximately £85.6 b in 2006, with over 32.6 m overseas visitors in 2007. Heritage anchors people to their roots builds self-esteem, and restores dignity. Identity matters to all vibrant cities and all people. UNESCO, the World Bank and the EU all believe this is an important factor in making a city livable. 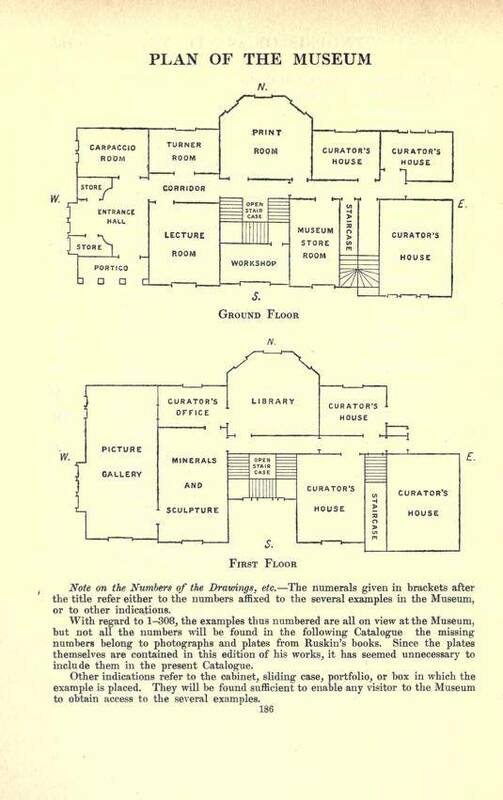 On April 15th 189O the New Ruskin Museum was opened by a silver key by the Earl of Carlisle. 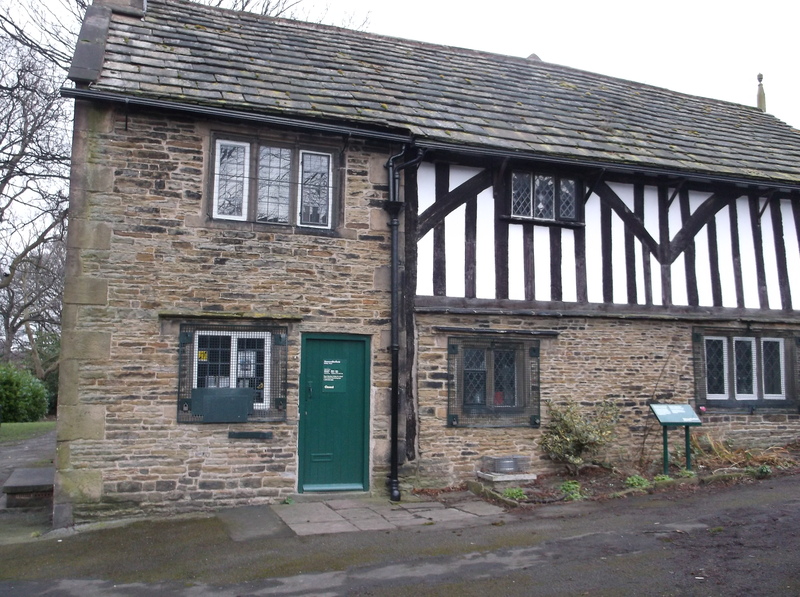 Not only were the contents of Walkley transferred to this Georgian House but 160 drawings from a failed museum at Bewdley that were on loan, and a collection of minerals and drawings formerly given to the Town Clerk’s care. So a much larger collection than Walkley. The Papers blithely say how good the delay has been in that they acquired the use of Meersbrook House. 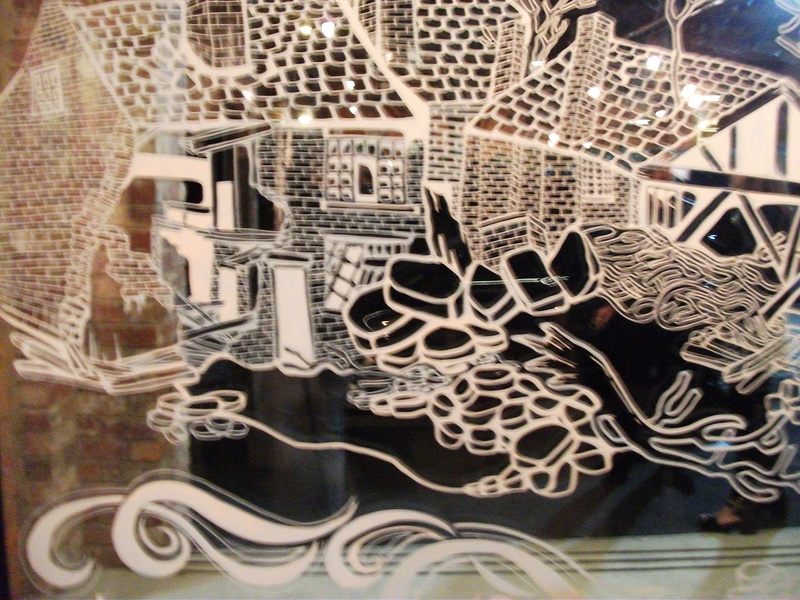 By the time of the opening of the Meersbrook Museum Ruskin was elderly and frail. He had not had a hand in writing the catalogue of the items or much involvement in the layout or the placing of the items. He was even too ill to join in the opening ceremony. 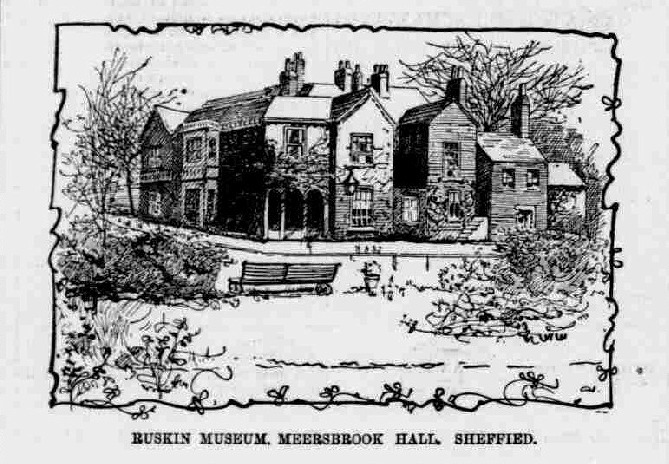 The story behind the Ruskin museum in Meersbrook Park was much more complex than a simple transfer of the collection from an over-crowded Walkley Museum to a larger Georgian Hall. Even the buying of Meersbrook Park and the buildings within it were not without controversy and indeed scandal. They had been discussing buying the Park since 1874. It was not until 1886 they celebrated the buying of the park at the Red Lion for the grand price of £7’500 for 37 acres. The original park was going to be bigger, but the price per acre was twice what the Council paid for Endcliffe Park and Hillsborough. Even after the Park was bought and the Ruskin Collection moved in a huge Fraud case erupted concerning the Land trust that had sold the estate. There had been plans to build houses across the whole estate and demolish the Tudor Farmhouse at the top. Many pleaded for the Park to be bought while others felt that this was purely to make the surrounding land and buildings more valuable. That was the Duke of Norfolk’s purpose when he created Norfolk Park from part of the old deer park. Why should tax payers pay to line landowners and developers pockets? What saved Meersbrook Park was the increasing enthusiasm for Soccer and of course Ruskin. Even before Meersbrook estate became a public park soccer matches had been played there. The argument made was that they needed a park to play football in. Weston Park was too small and Norfolk Park was not owned by the Corporation so every match they wanted to play there meant that they had to ask the Duke permission. 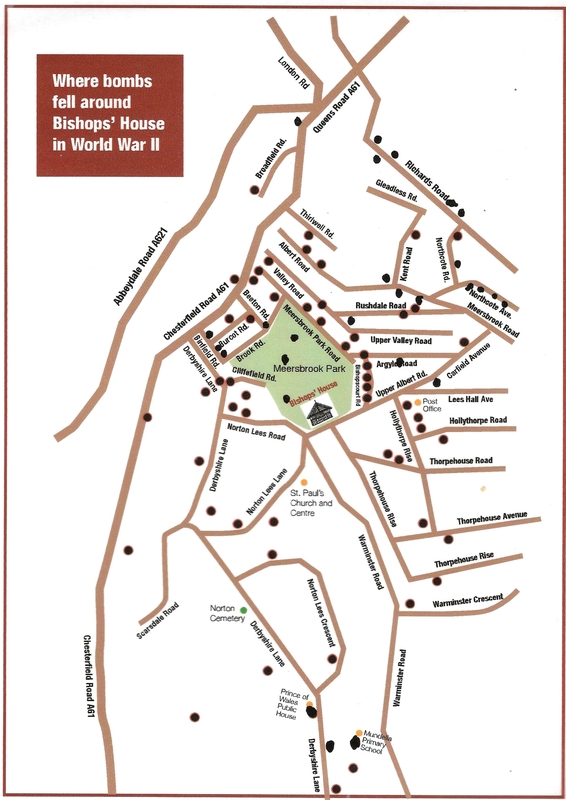 But what to do with the old Hall and Bishops House at the top? artisans. In 1885 they built a further extension but Ruskin collection was continually increasing and the space was getting tighter and tighter. It outgrew the accommodation, and the question arose, what to do with the additional objects. 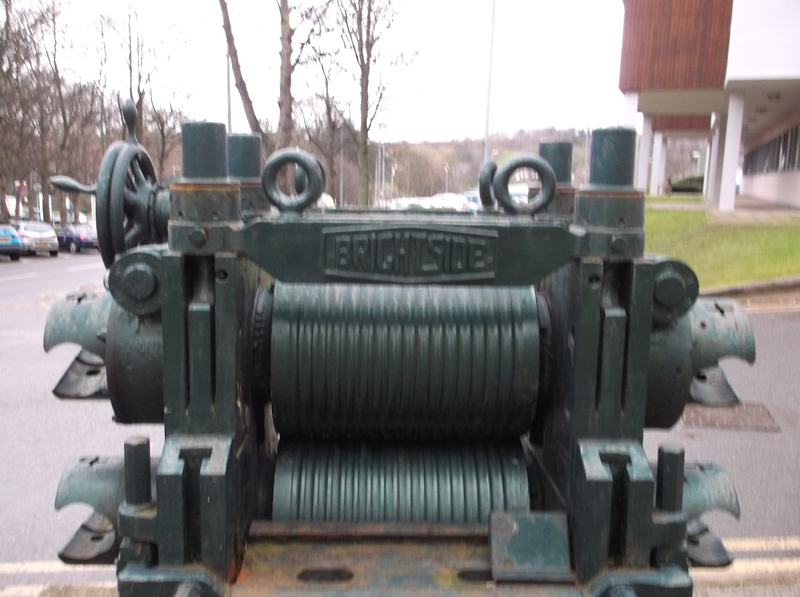 Ruskin declined to have them merged in any general museum at Sheffield. He proposed to build a museum of his own, either at Sheffield or elsewhere, and he had plans drawn for the building. Sheffield didn’t want to lose the Museum and started putting up suggestions of suitable buildings Ruskin could use. In 1880, Ruskin used a letter in Fors Clavigera to ask the public to help him realize plans for a new building. 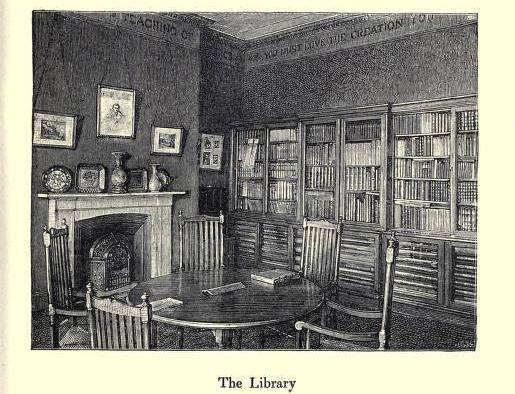 He had in mind ‘a working man’s Bodleian Library’, asking the architect E. R. Robson to produce preliminary designs. 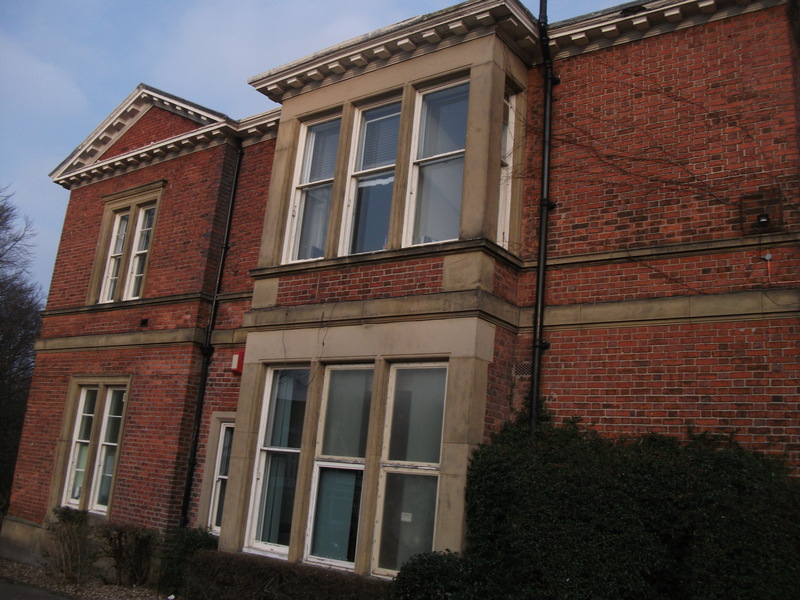 It was initially proposed that ‘the building should be of red brick, faced with the marbles of Derbyshire’ Robson objected that ‘neither Derbyshire nor any other marbles would stand in our climate’, and argued for granite instead. Robson quoted an estimated cost of £5000. 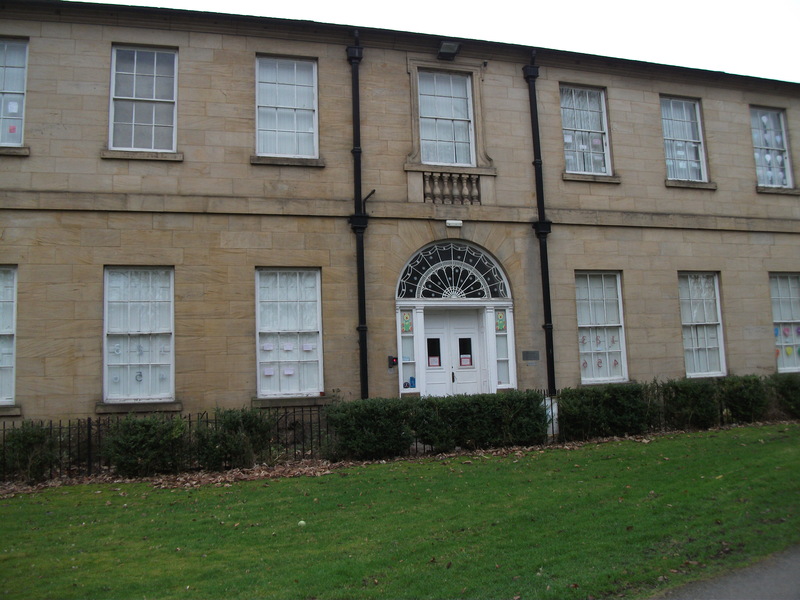 Although several sites for the new museum were considered, a piece of land on the Endcliffe Hall estate was the focus of attention. However, by the end of 1883 everything seemed to be in good train. 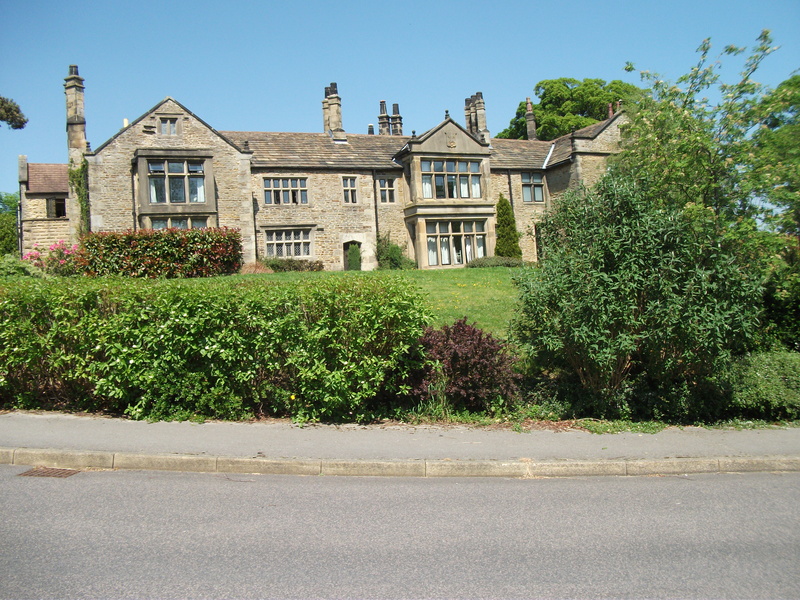 A public meeting was held at Sheffield; the sum of £5000 was guaranteed and an acre of land was promised at Endcliffe Gardens; and an appeal for subscriptions However problems arose. The trade Unions felt that Endcliffe was too far from their work so they would find great difficulty getting to the Museum. The Council were concerned that Ruskin would not gift the objects to them but insisted that they remain in the St George’s Guild’s ownership. 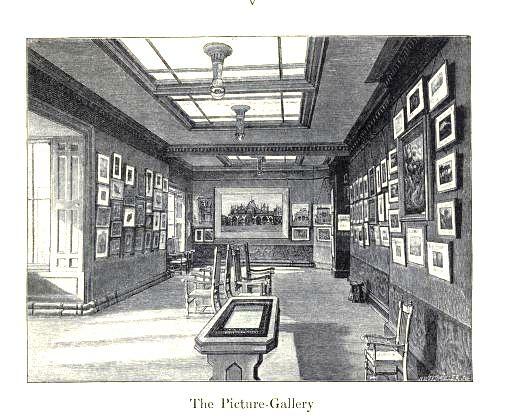 The Guild was set up by Ruskin as trustees for the collection. The reason for the Council’s concern was that they felt it was a lot to ask of them to spend money on a purpose built museum if the collection could be removed at any time. In 1885 Ruskin announced his scheme of building a museum at Bewdley, and he invited public subscriptions for the purpose.. No response, however, was forthcoming. 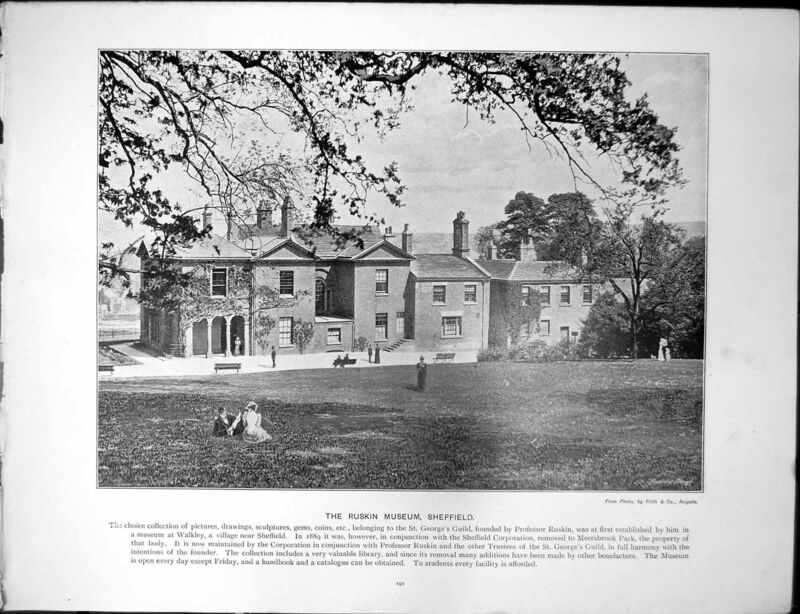 In 1886 the Corporation had purchased the Meersbrook estate of forty acres, and they suggested that Ruskin should transfer the Walkley Museum to the house in this Park. 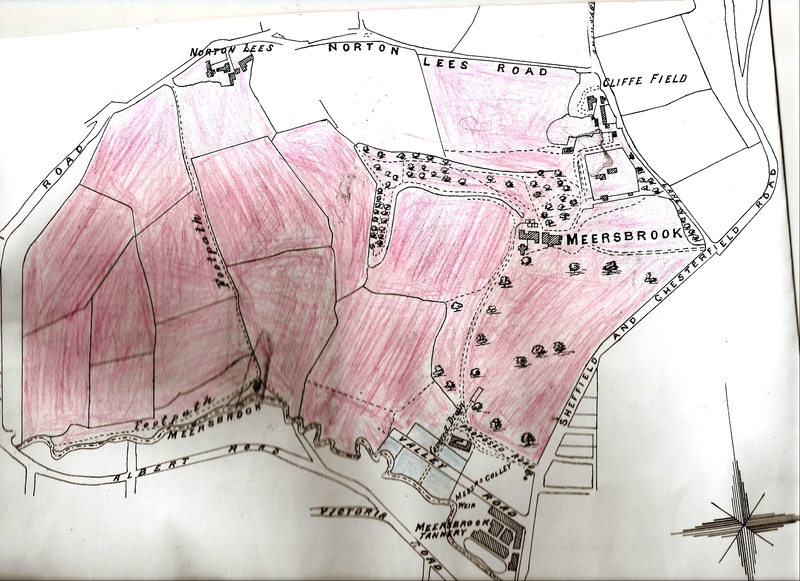 He had not, however, as yet abandoned all hope of receiving help to build a new museum of his own, and he declined the Corporation’s offer; though, he generously offered to present any museum which should be established at Meersbrook both with drawings and with minerals. 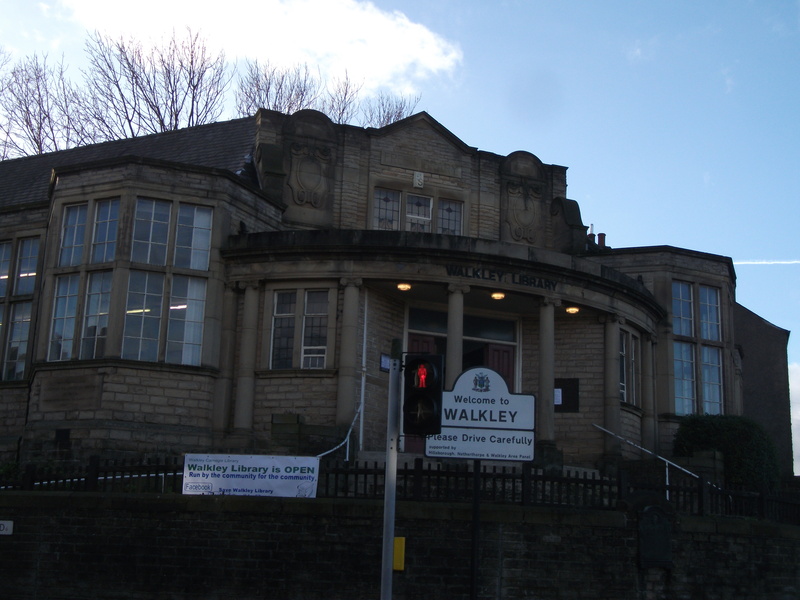 Presently, however, failing health and vanishing hopes wrought a change, and in 1889 it was definitely decided that St. George’s Museum should be moved from Walkley to Meersbrook. The Guild on its part agreed to lend the contents of the Museum to the Corporation for a period of twenty years; the Corporation agreed to provide suitable accommodation, and to defray all the costs of maintenance. The Trustees of the Guild are members of the Museum Committee. The house in Meersbrook Park was suitably decorated and arranged; and the collections were transferred. But not everything in the garden was lovely, a year after the Collection was transferred, despite all the refurbishment, the roof needed major repairs at a cost of £6’000. William White the curator appealed in 1892 to the Companions for extra funds to support the new museum. Mrs Talbot, one of the other Guild Companions, who had given a lot of property to the Guild, had opposed the move to Meersbrook on the grounds that Ruskin had wanted the Guild museum to be a small but choice collection, and blocked funding. And for some reason White also fell out with John Ruskin. By 1899 White was feeling attacked from all sides. White was sacked soon after that letter and a new Curator appointed. It is not known whether the repairs issues were solved as I could not find any accounts of requests for repairs in the Museum and Parks committee meetings. As far as the public were concerned the museum was a great success with visitor numbers averaging 45’000 visitors and 600 students per annum. But despite these numbers the Council was not happy and in several meetings discussed moving the collection to a more central place. This despite Ruskin constantly saying before he died that he wished the collection to be in a natural setting and away from the worst of the industrial smog. 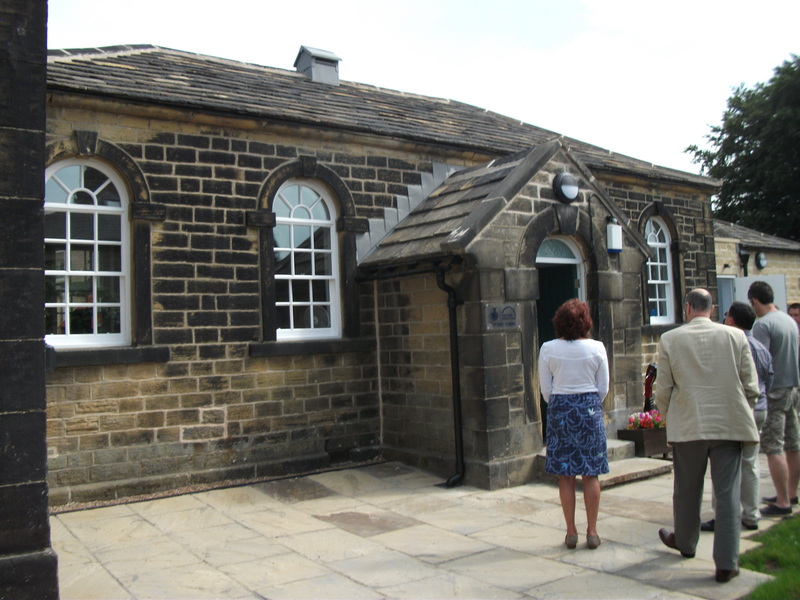 were removed to a community hall on the Chatsworth Estate for the duration of the war. It is not certain what the hall was used for during the war though there is some hint that the lower rooms were used as social rooms for RAF personnel. In 1940 for 2 nights Sheffield was subject to severe bombing. Bombing in and around Meersbrook Park was particularly heavy, but, despite a bomb falling 50 yards from the House, and several in nearby streets, the House emerged unscathed.The collection returned to the Hall and fond memories are expressed from those who remember it. “My neighbour Myra grew up opposite Ruskin Museum and remembers the big peacock in the foyer as you went in, the Museum Keeper who always wore a uniform, very smart and imposing with shiny buttons and he always wore white gloves. Out front were benches with flowerbeds in front of them and the playground was almost next to it just up the hill a bit, she doesn’t know why they moved it from amongst the trees. So her mum could sit on a bench whilst the children played. She used to put one foot on the grass and wait for Mr Abel or “Lanky” (could be another park keeper or Mr Abel) to chase her off. After the war the arguments went on about moving the collection. In the 1950s the roof needed substantial repairs and the collection was removed into storage. The collection was relocated to the University of Reading, with the intention of being housed in a new museum. This never materialised and the collection was returned to Sheffield. In 1985 a new Ruskin Gallery opened on Norfolk Street in the city centre.